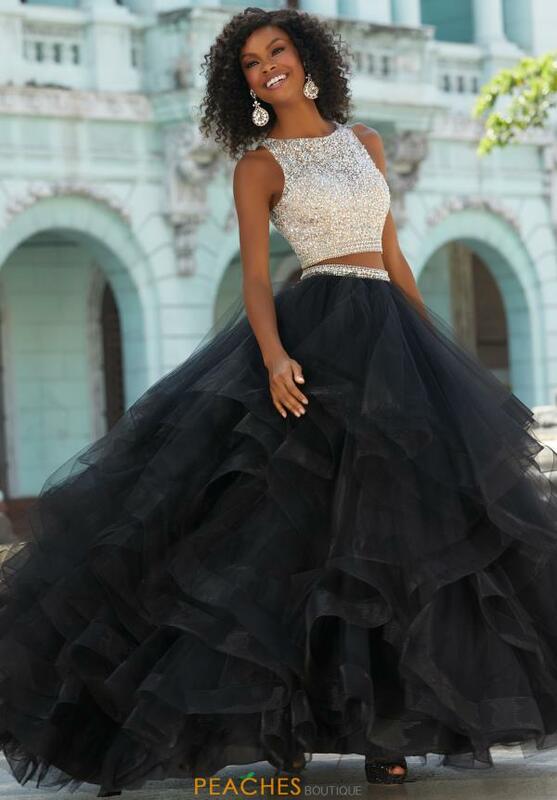 Have all eyes on you in this glamorous yet fun Mori Lee two-piece dress 42015. The fully embellished crop top sparkles from afar for added drama. The full skirt cinches your waistline with a beaded belt as a tiered tulle skirt creates flattering ruffles with a horsehair lining. Pair up the perfect accessories and shoes at Peaches Boutique in Chicago.